Explore the rich history and incredible glacier-carved features of the Tasman Valley on a guided 4WD vehicle tour. Tours travel the historic Ball Hut Road where, many years ago, coaches carried skiers to a small ski area built on the Ball Glacier. Now the road is passable only by special 4WD vehicles and feels like a journey back in time. 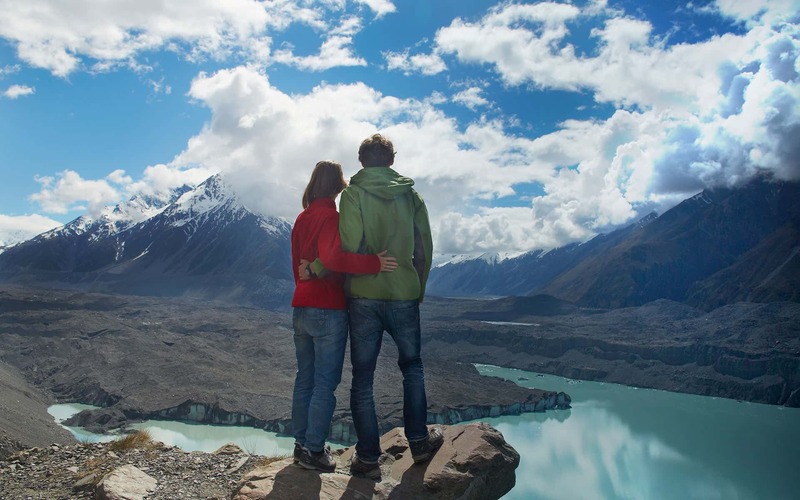 The adventure takes in the amazing landscape of Aoraki Mount Cook National Park, with beautiful views of the Southern Alps, the mighty Tasman Glacier and its terminal lake, and the ancient paths carved by the glacier’s advance and retreat. Tours also provide the opportunity to walk to the top of the moraine wall for spectacular views and photos of the Tasman Glacier and surrounding peaks. Several local companies offer Tasman Valley 4WD tours. Our team is happy to help Aoraki Alpine Lodge guests with information about these tour options.